A whopping number of 13F filings filed with U.S. Securities and Exchange Commission has been processed by Insider Monkey so that individual investors can look at the overall hedge fund sentiment towards the stocks included in their watchlists. These freshly-submitted public filings disclose money managers’ equity positions as of the end of the three-month period that ended December 31, so let’s proceed with the discussion of the hedge fund sentiment on Select Interior Concepts, Inc. (NASDAQ:SIC). Is Select Interior Concepts, Inc. (NASDAQ:SIC) a buy, sell, or hold? The best stock pickers are buying. The number of long hedge fund bets rose by 1 recently. Our calculations also showed that SIC isn’t among the 30 most popular stocks among hedge funds. SIC was in 7 hedge funds’ portfolios at the end of the fourth quarter of 2018. 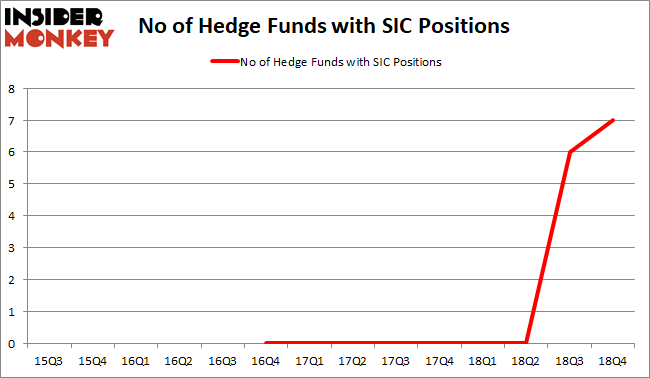 There were 6 hedge funds in our database with SIC holdings at the end of the previous quarter. This week Adam Wyden’s ADW Capital Partners also disclosed a 9.73% activist stake. Wyden has been purchasing Select Interior Concepts’ shares at prices as high as $13.94. Let’s take a peek at the fresh hedge fund action encompassing Select Interior Concepts, Inc. (NASDAQ:SIC). 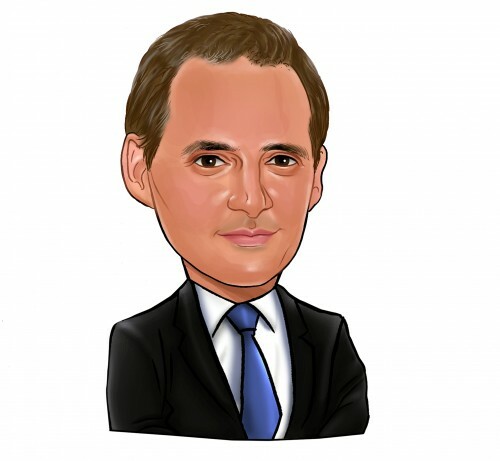 What have hedge funds been doing with Select Interior Concepts, Inc. (NASDAQ:SIC)? Heading into the first quarter of 2019, a total of 7 of the hedge funds tracked by Insider Monkey were long this stock, a change of 17% from the second quarter of 2018. By comparison, 0 hedge funds held shares or bullish call options in SIC a year ago. With hedgies’ positions undergoing their usual ebb and flow, there exists a few noteworthy hedge fund managers who were increasing their holdings meaningfully (or already accumulated large positions). Among these funds, Anchorage Advisors held the most valuable stake in Select Interior Concepts, Inc. (NASDAQ:SIC), which was worth $15.5 million at the end of the third quarter. On the second spot was Nokomis Capital which amassed $8.8 million worth of shares. Moreover, Point State Capital, Basswood Capital, and Lonestar Capital Management were also bullish on Select Interior Concepts, Inc. (NASDAQ:SIC), allocating a large percentage of their portfolios to this stock. As one would reasonably expect, key hedge funds were leading the bulls’ herd. Millennium Management, managed by Israel Englander, established the biggest position in Select Interior Concepts, Inc. (NASDAQ:SIC). Millennium Management had $0.4 million invested in the company at the end of the quarter. Michael Gelband’s ExodusPoint Capital also made a $0.1 million investment in the stock during the quarter. Let’s also examine hedge fund activity in other stocks similar to Select Interior Concepts, Inc. (NASDAQ:SIC). We will take a look at Hallmark Financial Services, Inc. (NASDAQ:HALL), Twin Disc, Incorporated (NASDAQ:TWIN), Rocky Brands, Inc. (NASDAQ:RCKY), and American Realty Investors, Inc. (NYSE:ARL). All of these stocks’ market caps are closest to SIC’s market cap. As you can see these stocks had an average of 5.25 hedge funds with bullish positions and the average amount invested in these stocks was $20 million. That figure was $34 million in SIC’s case. Hallmark Financial Services, Inc. (NASDAQ:HALL) is the most popular stock in this table. On the other hand American Realty Investors, Inc. (NYSE:ARL) is the least popular one with only 1 bullish hedge fund positions. Select Interior Concepts, Inc. (NASDAQ:SIC) is not the most popular stock in this group but hedge fund interest is still above average. This is a slightly positive signal but we’d rather spend our time researching stocks that hedge funds are piling on. In this regard HALL might be a better candidate to consider a long position.